A book about Count Cagliostro (1943-1795) and his Egyptian Rite of Freemasonry. I knew that Cagliostro was a controversial character and that his Rite is considered irregular. His Egyptian Freemasonry would later become the Rite of Misraïm which later merged with that of Memphis (1881) to the Rite of Memphis-Misraim which is still practised here and there. It all seemed interesting enough to get the book. The best part of the book is the first one about “the life and time of Cagliostro”. The authors portray a man that loved humanity, healed the sick for free using his capacities. Also he was a gifted fortune teller and general esotericist and magician. People not happy with Cagliostro’s rising star started to spread rumours about him being a fraud, saying he is actually called Joseph Balsamo and generally holding down his star; rumours that follow the name of Cagliostro to our very own time while nobody really seems to know what is true and what is not. Cagliostro does not receive the benefit of the doubt. Not often that is, since Faulks and Cooper try to rehabilitate the good man. In this first part we also follow Cagliostro’s Masonic carreer and how he came to create a Rite that he thought would not only supplement (not replace), but also perfect Freemasonry. Initial praise later became ridicule and Cagliostro’s Rite never grow very large. This is partly due to the fact that Cagliostro allowed women to join his lodges. 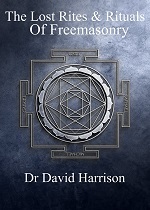 The second part is about “the origins and history of Freemasonry”. 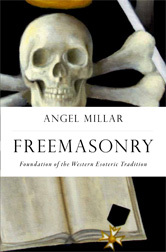 Most of what you can read here is known, but the authors have a slightly different angle on the early days of Freemasonr when they bring William Shaw (1550-1602) on stage, a man who brought Western esotericism to Masonic (“operative”) lodges. 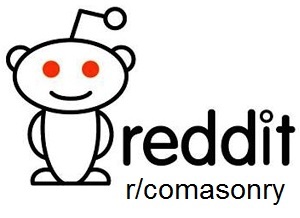 Better known history, persecution, etc. is all dealt with in this chapter. In part three we get a translation (the first in English) of an early French transcript of the largest part of Cagliostro’s Rite (including the first three degrees). This proves to hold the middle between Rites of Freemasonry and ceremonial magic. The authors also analyze the Rite making some rather swift conclusions about sources, but this chapter does make Cagliostro’s Rite a bit alive and some explanations are worth considering. There is a lot to say about the colourfull Cagliostry and that is exactly what Faulks and Cooper do in their 300+ paged book. 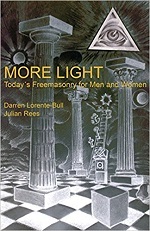 It makes a nice read about an interesting time in history and interesting developments in Western esotericism.